Jamaica Airport Private Transfers rate is very affordable, give us a call or use our contact form to get the best quote available at the moment. We provide the best in private transfers and offered the lowest fees that you can assure the quality of your transfer is safe, and secure from Montego Bay airport to your Hotel destination area such as Negril, Ocho Rios and all other major tourist destination. 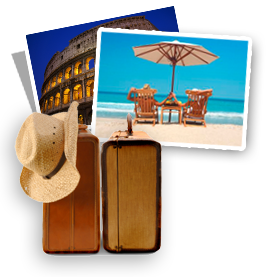 If you don’t see your specific tourist destination feel free to contact us, we will be more than happy to assist you. Montego Bay is the capital of St. James Parish and the second largest city in Jamaica by area and the fourth by population (after Kingston, Spanish Town and Portmore). It is a tourist destination with duty free shopping, cruise line terminal and the beaches. The city is backed by picturesque low mountains. Why there is no list of the hotels we operate to? You don’t need to see your Destination Hotel listed here, Jamaica have a lot of Hotels and small Villa, to accommodate a list of all Hotels will use up a lot of important web space, Because we do Private Transfers to all Hotels in Jamaica. 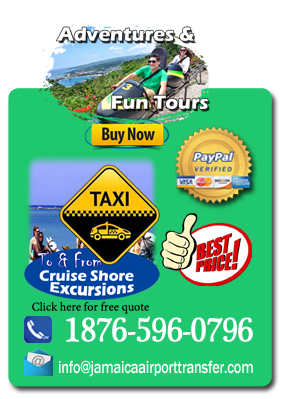 Service offered Jamaica taxi tours- Airport Shuttle Services, Airport Taxi Services, Airport Taxi Transfers, Airport Transportation Services, Holiday Transfer Services, Hotel Transfers, Jamaica Airport Transportation, Jamaica ground transfers, Jamaica ground transportation, Private Transfers, Shuttle to Airport, Taxis to Airports, Transfers from Airport, Transportation to Airport.